In the latest of its periodic reports on what the legislative branch is doing about climate change, the Congressional Research Service (CRS) notes that lawmakers in eight Congresses over the last 15 years have introduced bills to reduce greenhouse gas (GHG) emissions 60 times. Many of these bills come in pairs (that is, an identical bill is introduced in both the House and the Senate). Also, some are reintroduced from one Congress to the next with few if any changes, so it would be incorrect to say that each bill represents a unique approach to cutting GHGs. In fact, as the CRS points out, the bills can be distributed into one of two “general frameworks”—cap and trade or carbon tax. (Other types of bills have been proposed that would impact GHG emissions either directly or indirectly; these include proposals to promote renewable energy and carbon capture and sequestration. This type of legislation was not addressed in the CRS’s report.) While the frameworks differ substantially, both are rooted in economics. 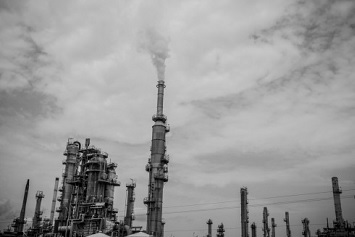 “Over the last 15 years, broad GHG emission reduction legislation has generally involved market-based approaches—such as cap-and-trade systems or carbon tax programs—that rely on private sector choices and market forces to minimize the costs of emission reductions and spur innovation,” states the CRS. Here, we provide background on GHG legislation, descriptions of the differences between cap and trade and a carbon tax, and summaries of several pieces of legislation from the 115th Congress. Without a federal law, U.S. actions on GHG emissions have been dependent on the Clean Air Act, which provides very little instruction on what should be done about GHGs and climate. This has resulted in sporadic regulatory actions mainly by the EPA, which are fiercely contested in court. The Obama administration issued the Clean Power Plan, which the Trump administration is seeking to eliminate and replace with its proposed Affordable Clean Energy Rule. But both these actions would be limited to GHG emissions from electric power plants. Over the past 10 years, the electric power sector has played a decreasing role in the generation of GHGs; today, the sector accounts for about 30 percent of nationwide GHG emissions, compared with about 40 percent in 2009. Consequently, some bills have had a broader orientation in which multiple sectors (e.g., transportation, as well as power generation), as well as GHGs, in addition to carbon dioxide (CO2), would be covered. The Waxman-Markey bill would have addressed 85 percent of domestic GHG emissions, which the CRS believes is large enough to be considered economywide. It is worth asking if there is any value in legislation that gets introduced and rejected year after year. In fact, except for certain types of legislation affecting, for example, the federal budget and national emergencies (such as the 9/11 terrorist attacks), bills that pass the Congress and get signed by the president are usually the end result of years of introduction, rejection, modification, reintroduction, more modification, and so on. Amendments to the Toxic Substances Control Act (TSCA) were introduced annually beginning in 2005 before legislators finally saw eye-to-eye on a final package that was signed by President Barack Obama in 2016. In the case of GHG legislation, Jonathan L. Ramseur, the CRS specialist in Environmental Policy, who wrote the recent report, has identified a gradual shift in the framework. A GHG cap-and-trade system creates an overall limit, or cap, on GHG emissions from certain sources. The emissions cap creates a new commodity—the emissions allowance. Typically, one emissions allowance represents the right to emit one metric ton of carbon dioxide (CO2)-equivalent (MTCO2e). Policymakers may decide to distribute the emissions allowances to covered entities at no cost (based on, for example, previous years’ emissions), sell the allowances (e.g., through an auction), or use some combination of these strategies. At the end of each established compliance period (e.g., a calendar year or multiple years), covered sources submit emissions allowances to an implementing agency to cover the number of tons emitted. A source that does not provide enough allowances to cover its emissions is subject to penalties. Covered sources have a financial incentive to make reductions beyond what is required because they could sell or trade unused emissions allowances to entities that face higher costs to reduce their facility emissions; reduce the number of emissions allowances they need to purchase; or bank them, if allowed, to use in a future year. In a carbon tax or emissions fee program, a price is attached to GHG emissions or the inputs (fossil fuels) that create them. The carbon tax/fee increases the relative price of the more carbon-intensive energy sources. This approach creates a new revenue stream. The magnitude of the revenues would depend on the scope and rate of the tax or fee, the responsiveness of covered entities in reducing their potential emissions, and multiple other market factors. A 2016 Congressional Budget Office study estimated that a $25/ton carbon tax would yield approximately $100 billion in the first year of the program. Both a cap-and-trade system and a carbon tax would result in reduced GHG emissions. But neither approach is without complicating factors. For example, the use of offsets has beleaguered cap-and-trade proposals. Offsets are credits a regulated source is entitled to for implementing GHGs off-site. “The use of offsets generates considerable controversy, primarily over the concern that difficult-to-assess or fraudulent offsets could create uncertainty about the quantity of emission reductions,” writes Ramseur. Cap and trade can also be quite complex to implement as regulatory agencies verify the legitimacy of on-site and off-site reductions and track the progress of allowances through commerce. A carbon tax is a simpler regulatory tool. One ton of emissions or one unit of fossil fuel input must be paid for with a set fee, which, in most congressional bills, increases over time. One major problem with a carbon tax is that it does not guarantee that specific GHG reductions will be achieved, although some recent legislation includes target reductions. Cap and trade has always come with a specific limit on emissions, generally a percentage decrease over a base year. Also, legislators and other analysts consistently disagree on what should be done with the proceeds from a carbon tax. As the CRS points out, bills that would institute a tax on carbon have substantially outnumbered cap-and-trade legislation in recent Congresses. For example, in the 115th Congress, which ended January 3, 2019, nine carbon tax bills and only two cap-and-trade bills were introduced. In one recent development, 45 economists (including 27 Nobel Laureate economists, 3 former chairs of the Federal Reserve, and 15 former chairs of the Council of Economic Advisers) said in a statement that a carbon tax “offers the most cost-effective lever to reduce carbon emissions at the scale and speed that is necessary. By correcting a well-known market failure, a carbon tax will send a powerful price signal that harnesses the invisible hand of the marketplace to steer economic actors towards a low-carbon future,” the statement noted. A consistently rising carbon price will encourage technological innovation and large-scale infrastructure development. Following are three bills from the 115th Congress that illustrate current thinking on cap and trade and a carbon tax. Cap-and-trade system for CO2 emissions from fossil fuel combustion. Permits sold through quarterly auctions by the Department of the Treasury. Covered materials include crude oil, coal, natural gas, and products derived from these materials used for combustion. Covered entities include petroleum refineries and importers, coal mines and importers, natural gas deliverers, and some natural gas processors. 2020 target: Reduce U.S. CO2 emissions to 20 percent below 2005 levels; 2030 target: 40 percent below 2005 levels. Auction revenue distributed via quarterly dividend payments to all persons with a valid Social Security number. Fee on fossil fuels based on their carbon content and certain facilities for GHG emissions. Fee set at $50/ton CO2 emissions in 2019, increasing by 2 percent plus inflation each year. Fee applies to coal at mines, petroleum at refineries, natural gas at processors, imported fossil fuels, and facilities that are subject to the GHG reporting rule and emit more than 25,000 tons of GHGs annually. The fee continues until national GHG emissions are 80 percent below 2005 levels. An annual tax credit is provided to each individual; an equivalent benefit is provided to individuals not eligible for the tax credit; up to $10 billion in annual cost-mitigation grants goes to states to be used to assist low-income and rural households with energy costs and support job-training and worker assistance programs; this amount increases annually. Fee on fossil fuels based on their GHG content. Fee set at $15/MTCO2e emissions in 2019, increasing by $10 each year. If emissions reduction targets are not met, fee increases by $15; if targets are met, fee does not increase. Provides a rebate for fuels used on a farm. Emissions reduction targets apply to fossil fuel combustion emissions; starting in 2022, annual reductions of 5 percent of 2015 levels (253 million MTCO2e) between 2022 and 2029; this equates to a 50 percent reduction in 2030 compared with 2005 levels; less stringent reductions in subsequent years. Establishes a trust fund that receives appropriations equal to emissions fee revenues received in the Treasury; monies in the trust fund are available (after administrative expenses) to provide monthly payments to eligible individuals (i.e., persons with a Social Security number or taxpayer identification number); adults get one share and children receive a half share. Summaries of all cap-and-trade and carbon tax legislation introduced in Congresses 108 to 115 are included in the CRS report.